The Trump administration may be trying to exert “maximum pressure” on Kim Jong-un, but it doesn’t appear that North Korea’s young leader is feeling it. Throughout 2018, Kim has been on the diplomatic offensive — reestablishing a high-level dialogue with South Korea, creating a shining moment at the Olympics, extending the invitation for an unprecedented meeting with President Trump and just this week meeting Chinese President Xi Jinping in Beijing, on his first foreign trip after six years in office. Why it matters: Kim has turned the U.S. strategy of political and economic isolation on its head. 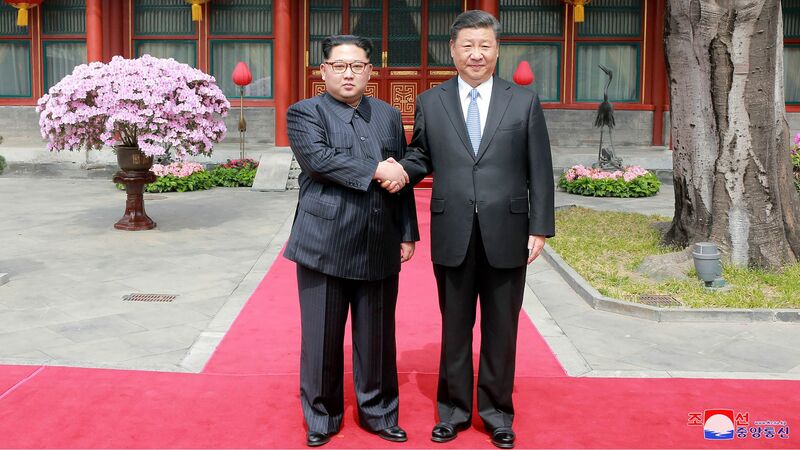 Thanks to his triple play — summits with Xi, Trump and South Korean President Moon Jae-in — Kim has taken control of the process and increased his bargaining power. While Trump was drawn to the historic nature of the proposed talks — no sitting U.S. president has ever met with a North Korean leader — these recent developments have to disconcert his national security team, especially his incoming national security advisor, John Bolton. Bolton's appointment is a strong indicator Trump will withdraw from the Iran nuclear deal — Bolton favors military action — but that move would undermine U.S. credibility with North Korea. He may further compromise those talks by advising that Kim commit upfront to complete and verifiable denuclearization. Kim will welcome negotiations — the engagement is a win for him — but will not surrender his nuclear and missile capability easily, if at all. What he gives up will depend on how much the U.S., China and South Korea pony up. The bottom line: Trump is left with unattractive options: Negotiate under terms his hardline national security team opposes, or confront North Korea without backing from the international community. This is why starting the process at the presidential level was a bad idea. P.J. 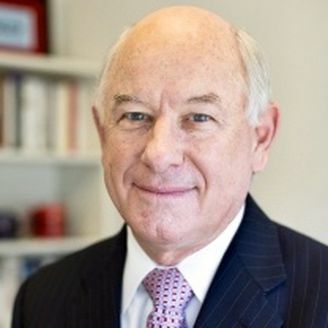 Crowley is a former Assistant Secretary of State and author of "Red Line: American Foreign Policy in a Time of Fractured Politics and Failing States." News that President Donald Trump will sit down with North Korean leader Kim Jong-un in the next three months is a stunning development. There is considerable risk associated with this dramatic gambit. Contrary to the normal diplomatic playbook, which calls for leaders to meet after experts have worked through complex details, this meeting will in essence kickstart negotiations. What's next: If Kim is willing to bargain away his nuclear and missile capabilities — a big if — the biggest hurdle to an agreement will be less what North Koreans demand than what American politics allows. The United States should require North Korea to dismantle its nuclear weapons program, rejoin the Nonproliferation Treaty and agree to the Additional Protocol (which allows for more intrusive inspections), cease the long-range missile development that threatens the U.S. mainland and stop its cyber attacks on U.S. entities. Japan will demand a full accounting of its citizens who were kidnapped during the Cold War. North Korea will likely seek a peace treaty formally ending the Korean War, the resumption of normal diplomatic relations, a scaling back of the U.S. military presence on the Korean Peninsula and a public pledge that Washington does not seek regime change. It will demand an end to international sanctions and could seek a major commitment of economic assistance. What rights would Pyongyang retain to develop civilian nuclear energy and export conventional military hardware? This question recalls ground the Obama administration plowed with Iran, despite a lack of trust on both sides. And what about North Korea's abysmal human rights record? That has not been a priority for Trump, but claims of “appeasement” have a potent history in American politics. Trump agreed to the meeting because it is a historic first. But a plausible agreement will look a lot like the Iran deal, which Trump famously derided as "the worst ever." He will be hard-pressed to explain why Pyongyang is suddenly trustworthy while Tehran is not. Notwithstanding Pyeongchang’s proximity to the North Korean border, a mere 40 miles, the Winter Olympics concluded without incident. That in itself is no small achievement. South Korean President Moon Jae-in earned a diplomatic gold medal by enticing Pyongyang to join the festivities rather than disrupt them. North and South Korean athletes carried the torch in the opening ceremonies. The North Korean cheerleaders retained their enthusiasm even as the joint women’s hockey team lost every game. And North Korea’s leader, Kim Jong-un, sent a high-level delegation that included his sister. What’s next: There may be a meeting between the North and South leaders, which wouldn't hurt. But after two weeks of sprints, jumps and triple axels, relations between Washington and Pyongyang haven't changed much. Even though Kim's sister sat within a ski pole’s distance of Vice President Mike Pence, and later Ivanka Trump, during the opening and closing ceremonies respectively, there was no high-level contact. There may have been talks about talks, but none actually occurred. As the Olympics wound down, the Trump administration returned to its status quo ante — more sanctions. North Korea again signaled its willingness to negotiate with the United States, although undoubtedly with a different agenda in mind. An Olympics-inspired breakthrough is unlikely. What we just experienced was a kind of diplomatic biathlon — enormous effort, shots that hit and missed the intended targets, and a photo finish. But the race ended a very short distance from where it began.